Adopt-a-Highway began in 1988, when volunteers started to clean up the litter along the highways of South Carolina. Currently, PalmettoPride hosts the pickup program with the assistance of the South Carolina Department of Transportation (SCDOT). 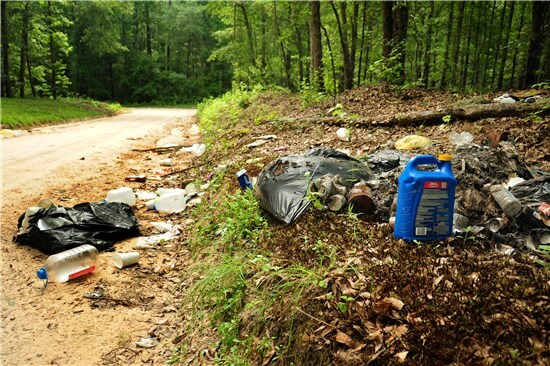 Along with PalmettoPride and SCDOT, Keep Bamberg County Beautiful wants, "to eradicate litter and promote beautification," throughout Bamberg County and South Carolina. Because of programs like Adopt-a-Highway, litter has been reduced by 62% in the past ten years! Imagine what that percentage would be if you or your organization adopted a highway right here in Bamberg County? Even though we agree with PalmettoPride, that 62% of litter has been reduced, it's not 100%, and that's our goal for Bamberg County. We need volunteers to help us keep Bamberg County clean, and not just because a clean road looks better! It has been proven that a clean community is a safe community, and clean communities are good for tourism and economic development. So are you ready to bring a source of pride to your neck of Bamberg County? If so, get in touch with us today so we can help you achieve your goal! Find the documents below to start the application process yourself, or call your Keep Bamberg County Beautiful Coordinator at (803) 245-7970, ext 2. KBCB can help you with the entire process! We look forward to working with you in the near future!